That's a serious question. Your ideal savings rate depends on your specific, long-term reasons for saving. Your short-term savings can get used to vacation in Aruba, buy holiday gifts or pay your taxes. You might use this money to replace your dishwasher, fix your car's timing belt, cover a major insurance deductible, stay afloat when you're between jobs and make a down payment on a home. You should consider saving 10 - 15% of your income for retirement. Sound daunting? Don't worry: your employer match, if you have one, counts. If you save 5% of your income and your boss matches another 5%, you've accomplished a 10% savings rate. You should establish an "emergency fund" that can cover 3-9 months of your living expenses. How can you save such a large sum? First, calculate your monthly cost-of-living. Assume that if you lose your job, you'll sacrifice luxuries such as pedicures or your premium cable TV package. How much do you need to survive? Divide that number in half. Can you save this monthly? If so, you'll build a six-month emergency fund within the next year. Write your ideal savings target and deadline. Divide by the number of months remaining to see how much you should save. Want to pay cash for a $10,000 car in five years? You'll need $167 per month. Most people opt for a combination of those four choices. You might decide you'd be happy buying a $7,000 car, which will require only $116 per month. You cut your $50 cable bill and pick up a babysitting gig one night per month, and voila — now you're on-track to pay cash for your next car. Did you want a simpler answer? No problem. Here's a final rule of thumb: at least 20% of your income should go towards savings. More is fine; less is not advised. 1. Move bank accounts to take advantage of perks and earn more interest. If you’re paying a monthly fee for your checking or savings account, you would benefit from researching some of newest banking offers out there. 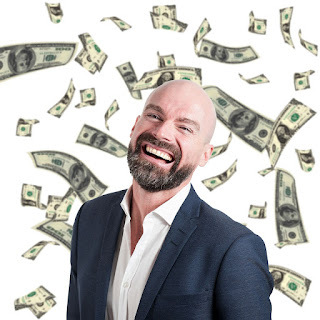 Not only do some of the best banks offer sign-up bonuses simply for opening an account and setting up direct deposit, but some offer attractive interest rates to new customers as well. It’s true that interest rates are not what they once were, but it’s still worth a look. Some of the best free checking accounts and best savings accounts can be found online. Here’s a guide on how to make that switch. 2. Turn off the television. One big way to save money is to drastically cut down on the amount of television you watch. There are a lot of financial benefits to this: less exposure to spending-inducing ads, a lower electric bill (and perhaps a lower cable bill if you downgrade your subscription), more time to focus on other things in life — such as a side business — and so on. Want to take things a step further? Consider cutting the cord to cable TV altogether. There was a time when people thought their collections would bring them riches. Beanie Babies were a big fad at one time, as were Longaberger baskets. Now you can find those items on resale sites like Craigslist and at garage sales for a fraction of their initial cost, leaving many people who sunk thousands of dollars into their “investments” wondering what happened. If you want to avoid that situation, don’t collect items of questionable value. And if you want to recoup some of the money you’ve already spent on collectible items, you can start selling them now and use those funds for any number of worthy financial goals. Read our “Guide to Selling Unwanted Items” for some simple strategies that can help you profit as much as possible. 4. Sign up for every free customer rewards program you can. No matter where you live, you’ll find plenty of retailers who are willing to reward you for shopping at their store. Here’s the basic game plan for maximizing these programs: create a Gmail or Yahoo address just for these mailings, collect every card you can, and then check that account for extra coupons whenever you’re ready to shop. You can add to those rewards and discounts by using rewards credit cards to earn points on purchases at a wide range of stores that can be redeemed for cash back or other benefits. 5. Make your own gifts instead of buying stuff from the store. If you want to save money while also giving generously, creating your own homemade gifts is one way to accomplish both goals. You can make food mixes, candles, fresh-baked bread or cookies, soap, and all kinds of other things at home quite easily and inexpensively. These make spectacular gifts for others because they involve your personal touch — something you can’t buy from a store — and quite often they’re consumable, meaning they don’t wind up filling someone’s closet with junk. Even better – include a personal handwritten note with the gift. 6. Master the 30-day rule. Avoiding instant gratification is one of the most important rules of personal finance, and waiting 30 days to decide on a purchase is an excellent way to implement that rule. Quite often, after a month has passed, you’ll find that the urge to buy has passed as well, and you’ll have saved yourself some money simply by waiting. If you’re on the fence about a purchase anyway, waiting a while can give you a better perspective on whether it’s truly worth the money. 7. Write a list before you go shopping – and stick to it. One of the easiest ways to save money is to only shop when you have a list. Because when you’re without one, you typically end up making impulse buys and unplanned purchases – all things that cost money. Creating a list before you go to the grocery store is especially important. Not only can it help you buy items that fit with your meal plan, but it can also help you avoid buying food you might waste. Always create a list and, more importantly, stick to it. You can also take advantage of a cash back rewards card that gives bonus cash at grocery stores – just be sure to pay off the balance each month. 8. Invite friends over instead of going out. Going out to eat or “out on the town” has a way of completely destroying both your food budget and your entertainment budget in one fell swoop. And no matter what, it is always cheaper to stay in with friends and come up with your own entertainment. Instead of hitting the town, host a fun pitch-in dinner with your friends. Play cards, sit around a fire pit, or watch movies with your guests. You’ll all save money – and have a blast. 9. Repair clothing instead of tossing it. Don’t toss out a shirt because of a broken button – sew on a new one with some closely-matched thread. Don’t toss out pants because of a hole in them – put in a patch of some sort and save them for times when you’re working around the house. Most basic sewing jobs can be completed by anyone, and a little bit of practice goes a long way. Learning basic sewing skills is a great way to save some money – and extend the life of your clothing. 10. Don’t spend big money entertaining your children. Most children, especially young ones, can be entertained very cheaply. Buy them an end roll of newspaper from your local paper and let their creativity run wild. Play ball in the backyard. Head to the park. Plant a garden. Teach them to ride a bike without training wheels once and for all. 11. Negotiate rates with your credit card company or complete a balance transfer. Start by calling your card issuer at the number on the back of your card and explaining your request. 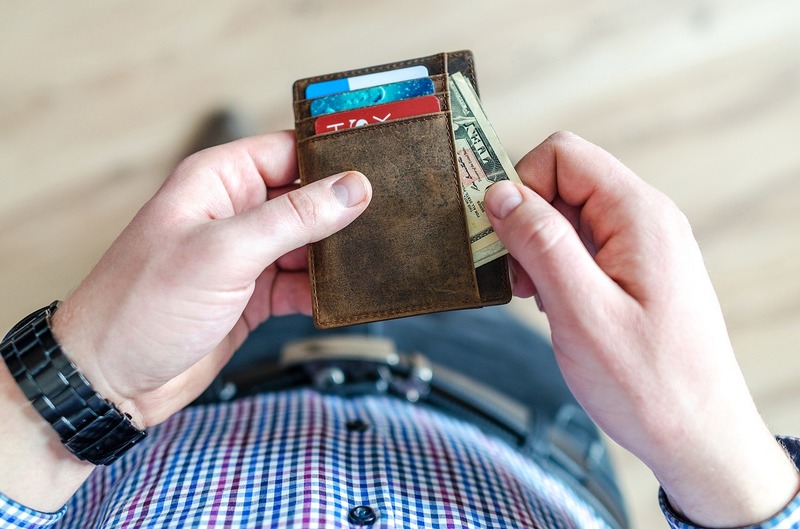 If you don’t make any progress with them, check out these balance transfer credit cards to find one with an introductory 0% APR that could help you save hundreds of dollars in interest over time. 12. Clean out those closets. Go through your closets and find anything and everything you no longer use. Then, don’t just get rid of it, use it to your benefit. You can have a yard sale with it, sell it on eBay or Craigslist, take it to a consignment shop, or even donate it for the tax deduction (mark down what you give away so you can get a receipt). All of these options can turn old stuff you don’t want anymore into money in your pocket. Not only that, it’s often a psychological load off your mind to clean out your closets. 13. Buy video games that have a lot of replay value – and don’t acquire new ones until you’ve mastered what you have. My video game buying habits have changed quite a bit since my “game of the week” days. Now, I focus on games that can be played over and over and over again, and I focus on mastering the games that I buy. Good targets include puzzle games and long, involved quest games – they maximize the value of your gaming dollar. Once you’re done with a game for good, take it to a video game resale shop like GameStop and see if you can trade it in for store credit you can use to get another game. Not only does drinking plenty of water have great health benefits — it has financial benefits, too. Drink a big glass of water before each meal in order to stay fuller longer and ultimately eat less. Not only will you save on the food bill, but you’ll also feel better after you become properly hydrated. Even better, drinking more water — whether in a refillable bottle or at restaurants — means spending less money on beverages like soda, juice, and tea. Remember: Tap water is not only just as clean as bottled water, it’s also free. 15. Avoid convenience foods and fast food. Instead of eating fast food or just nuking some prepackaged dinner when you get home, try making some simple and healthy replacements that you can take with you. An hour’s worth of preparation one weekend can leave you with a ton of cheap and easy dinner and snack options for the following weeks. Also consider breaking out the ol’ crock pot for some inexpensive meal options that not only save money, but time, too. For those times when you simply can’t avoid dining out, maximize your savings with coupons and a rewards credit card that gives a bonus for restaurant spending (but you know yourself best, so only spend what you know you can pay off each month with no interest). Great tips. I once did a financial fast - can't remember where I came across. The rules were to spend on necessities only for a period of time. It was difficult at first but it made me realise how many times we reach in to purchase things we don't need. Excellent actionable comments! My absolute favorite is 13 about video-games. SInce I'm a gamer, I try to apply this rule! wow very informative and educative, i will keep on visiting for more information. Some good tips. I've always been very good with money and always surprises me how most people live with so much debt. We have been debt free for around 10yrs and will hopefully have the mortgage paid off in 3, although I do ask myself Then What? This is goals! It seems like everytime I try to save something comes up. This is true motivation! Thanks for sharing! Great advice! I currently already follow a lot of the money saving tips! Thanks for the tips. I am just returning from a leave of absence from my career and corresponding downturn in finances. Any tips for getting jump started financially? The cable one is a really good tip. I wanted to cut cable completely, but my husband can't deal not having it. We cut traditional cable which was $120 per month and now use Hulu Live, which is only $45 a month. All that money is going into savings now. Wow that a great deal, it doesn't seem so easy, but the benefits is outstanding. This article came at a great time for me! Wow that great, we hope our strategy be of importance to you. WE WILL BE GLAD IF YOU COULD USE THE COMMENT BOX. THERE IS SOMETHING YOU NEED TO SAY ABOUT THIS ARTICLE!